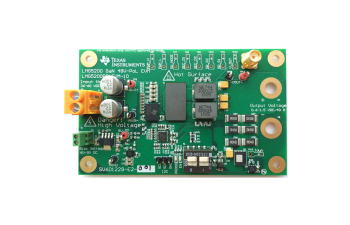 80-V 10A Power Stage EVM - The LMG5200 EVM board is a small easy to use power stage with an external PWM signal. 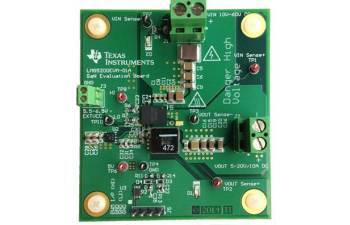 The EVM is suitable for evaluating the performance of LMG5200 power stage in many different DC-DC converter topologies. It can be used to estimate the performance of LMG5200 to measure efficiency. The module is capable of delivering a maximum of 10A of current however adequate thermal management (forced air, running at low frequency etc) should be followed to ensure that the temperature is not exceeded. The EVM is not suitable for transient measurements as it’s an open loop board.